Let’s look at US College Academic year and three deadlines for prospective students to keep track before applying for colleges in the USA. 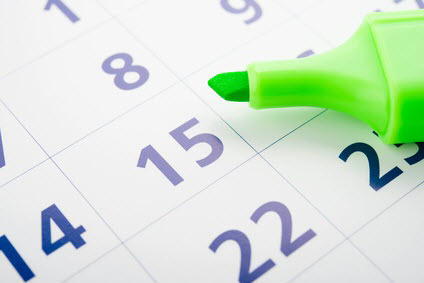 Colleges and universities in the United States all work on similar calendars, referred to as an Academic Year. Typically, schools start the new year in August or September and end in May or June. Most institutions of higher education in America choose to operate on semesters (two per academic year) while some use quarters (three per academic year). Semesters is divided into Fall and Spring. The majority of U.S. colleges and Universities use semester systems. Almost every school also offers courses during summer terms with some offering specialized terms (such as month-long courses). Before looking into deadlines, you must know about the academic year. During the application process, it is advantageous to adhere firmly to deadlines. However, also know that some schools may be more lenient with such dates than others. First-time students may apply for Early Admission by November 15 of the year prior to enrollment and Regular Admission by January 1 for consideration for the fall class. Some schools accept applications throughout the year, referred to as Rolling Admission. Learn more about College Admission Deadlines. Transfer students should usually apply by the middle of the semester prior to planned enrollment. Note – Dates listed above will change with universities, but this should give an idea. Under Graduate School, Admission deadlines will be different from Graduate School admission deadlines for Early and Regular deadlines. Also associated with the admissions process is standardized testing. This includes deadlines for the test itself and for reporting the scores to the colleges and universities where applications have been submitted. Scholastic aptitude tests, like the ACT and SAT, along with the English proficiency tests, TOEFL, and IELTS, are given throughout the year and have specific deadlines for each administration of the test. Check with each school for deadlines regarding submission of these scores. Many schools require them at the time of application. For international students, schools can accept scores after the deadlines, provided all the required application package is received by application deadlines. Certain US schools offer limited financial aid to international students and the deadlines for applying may be different from the application deadlines. Some schools will also require a document to be completed that verifies the students’ ability to pay what is not covered by financial aid. These deadlines will vary by school and will usually be listed on the application or are available via the school’s website. Hi,i wnt to apply for ms . . bt m pregnent nw . . do ds lead to any problm wit admissn. . hw much financial status v shd shw to tk baby wit us. . plz do help me out . . as i dont kw wat to do in ds case. . I need the dead lines for financial aid in top 10 us colleges. I hav a gud gre score. i m presently in US, on h4 visa & looking for master degree or mba in fashion management. can u help me regarding to find best clg or university, n can u suggest me does online degree has any benefit to get job?